Marie Antoinette at 13 in a portrait by Martin van Meytens, 1767. 1. 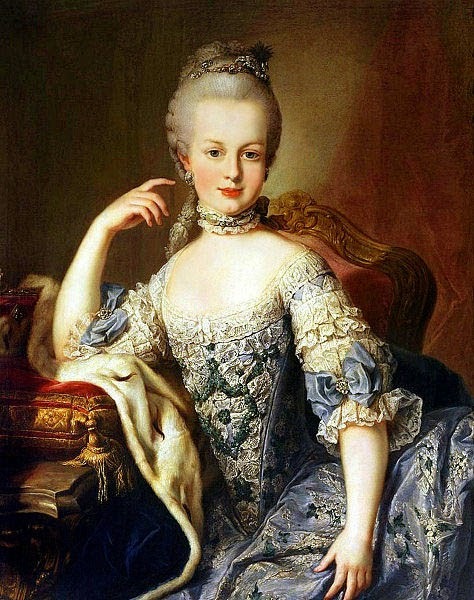 Marie Antoinette had her teeth straightened before she was sent to France to marry Louis Auguste, the heir to the French throne, and become Dauphine. It was part of the general makeover she received in her native Austria to ensure she would look like what was expected of a French princess at court. 18th-century braces? Sounds painful! 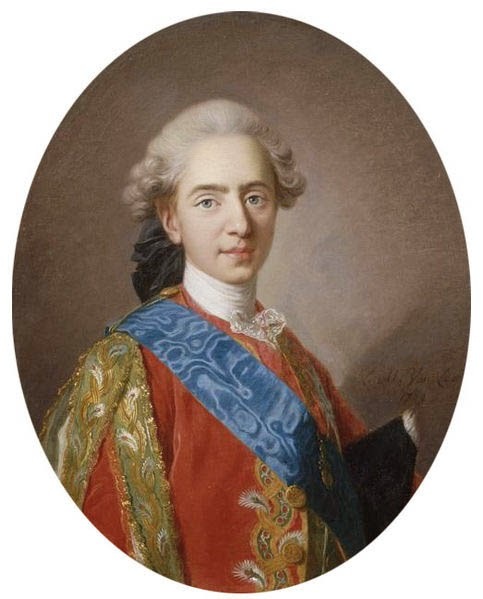 A portrait of Louis Auguste, the future Louis XVI, by Louis-Michel van Loo, 1769. Wow! Can you imagine? I think this should have been a scene in Sofia Coppola’s film Marie Antoinette. Or was it and I’ve just forgotten? 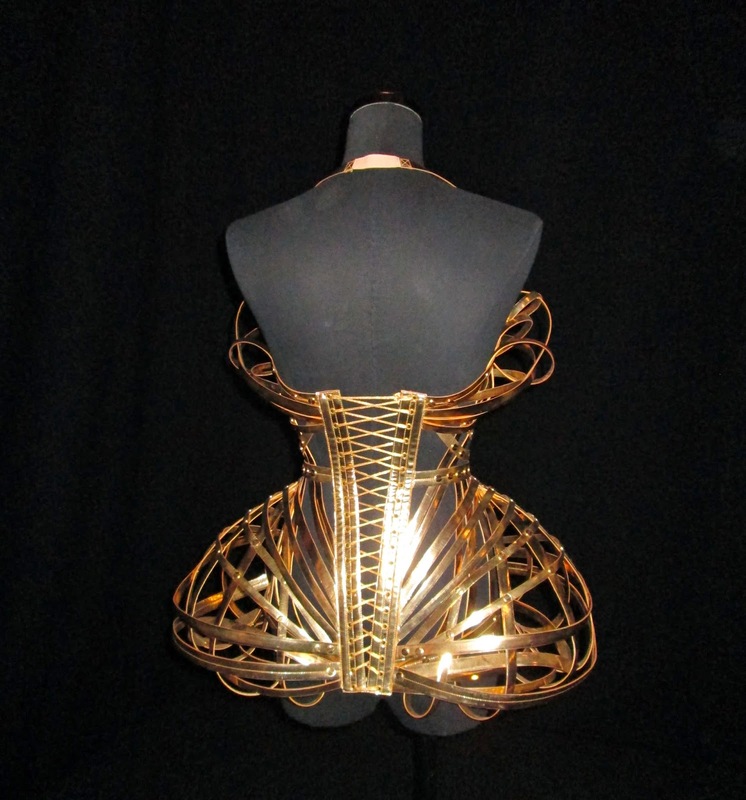 A corset by Jean Paul Gaultier. I think Marie Antoinette would’ve preferred this over the grand corps! I know Jean Paul Gaultier would probably love the grand corps, but I can understand why Marie Antoinette did not! Only strongly-worded letters from her mother, Austrian Empress Maria Theresa, finally got her back into the despised garment, and then, only for a time, before her own leanings towards simplicity took over (to disastrous results). The further I delve into this book the more I am convinced that if you want to know about the history of the world, you should learn about the history of fashion. Social mores and values and political leanings and associations are all right there, contained in something as seemingly trivial as the length of a hem, the colors of a cockade, or even the material used in a dress or waistcoat. The history of fashion is also the history of the world! If you are reading Queen of Fashion, or have read it, let me know what you think of it. As for French Friday, a series my friend Heather over at Vintage French Chic inherited from the lovely Rebekah of Cupcake Caramel, who decided to end her blog this week, do think about joining Heather in a weekly link-up about all things French.You can contact her at frenchchicvivant(at)aol(dot)com. As Heather says, the more, the Frenchier! Do stop by Vintage French Chic to read what Heather is musing about this week for French Friday! She must have had high pain tolerance! Between the corset and teeth straightening, she would face much pain...I wonder how they straightened teeth then!! I do not know I would have had this type of stamina. Thanks for sharing Jill...have a great weekend! I am definitely thinking of the French Friday linkup! Sounds fun. I will put the book on my list -- I love history and fashion, so sounds like I would like it. Thanks for an interesting post. I have been looking for a book on the history of fashion for the reasons you stated! I am very curious where the different waistlines, cut styles, and so forth that I recognize on a garment came from. What makes 'military' military? and so on. Thank you for the book recommendation! It sounds intriguing. So very interesting! I did see something along the same vein...in a museum display, dinner forks in the 16th C suddenly went from a short 3 or 4" handle to 9 or even 10" long handles. Why? Think of the huge pleated or ruffled collars in the fashion of Queen Elizabeth I. Fork handles had to be that long for the user to reach her mouth over that monstrous fashion detail. Now off to order that wonderful book on Amazon! 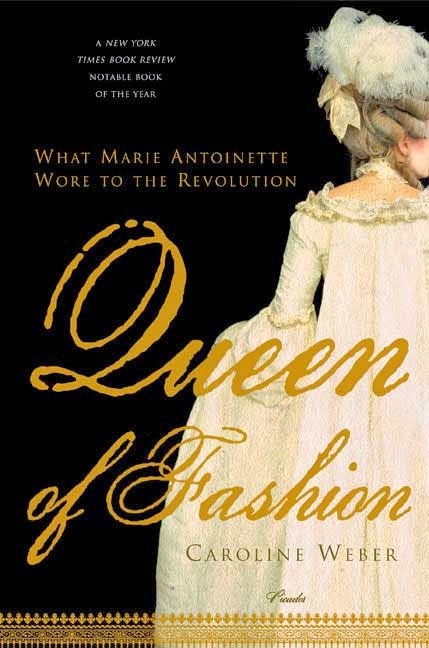 Hi Jill - I am currently reading that same book, Queen of Fashion - What Marie Antoinette wore to the Revolution by Caroline Weber! I loved reading about her masked balls and her "cross dressing" strategy while riding horseback with the king and his pals! This is such a fascinating look from a different point of view. Jill - I broke my wrist and had surgery so holding that book hasn't been fun... but I need to catch up with you so we can chat about it! You turned me on to The Goldfinch! I got that read in 21 days! Interesting article. Another reason why Marie-Antoinette's reputation was tarnished beyond recognition is everything at the Court of Versailles was politicized. The French Court, being the cesspit of vices and decay, viewed even the most innocent relationships with tawdry connotations. Marie-Antoinette, with her innocence, generosity, dignity, grace and beauty and being the proud and energetic mother of two male heirs to the French throne, was the perfect target for calumnies of every kind. Hence why studying fashion is key to understanding history and culture.